"He dragged you into all of this, not me." Momentum has debuted a trailer for a post-WWII thriller titled The Last Witness, from director Piotr Szkopiak. 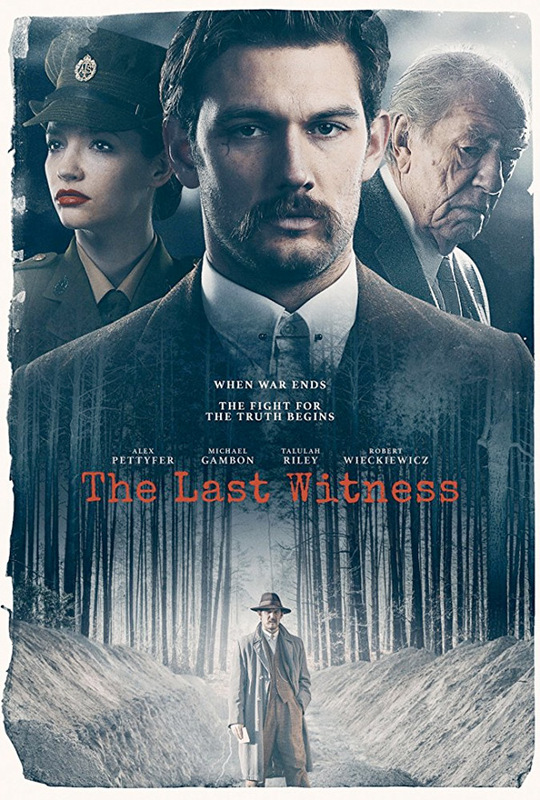 In the film, Alex Pettyfer stars as an "ambitious young journalist" who uncovers the true story of a horrific slaughter of 22,000 Polish officers during WWII, shot by Stalin's secret police shortly after the Nazi invasion of Poland. The film seems to feature flashbacks in addition to the main storyline set later on, with Pettyfer trying to uncover the truth. The full cast includes Michael Gambon, Talulah Riley, Robert Wieckiewicz, and Will Thorp. This seems quite good, but oddly it's going out straight-to-VOD without any festivals premieres, so I'm not too sure. Take a look below. An ambitious young journalist (Alex Pettyfer) uncovers the horrific slaughter of 22,000 Polish officers during the Second World War. A secret that has been kept hidden for far too many years. The Last Witness is directed by Britain-born Polish filmmaker Piotr Szkopiak, of the film Small Time Obsession previously, and lots of TV work including directing episodes of "EastEnders" and "Doctors". The screenplay is written by Paul Szambowski and Piotr Szkopiak. This has not yet premiered at any big film festivals as we far as we know. Szkopiak's The Last Witness will be released direct-to-VOD on May 29th coming up. Any interest?